27/08/2014 Dynamic plates est une application didactique interactive qui te permet d'observer et de comprendre les dynamiques internes de la Terre. Fais glisser les plaques et... regarde ce qu'il se passe ! Tu pourras recréer ce que la nature réalise en des millions d'années, en observant (et en écoutant) les formes et les phénomènes produits par la tectonique des plaques. Une riche galerie de photos avec des explications détaillées. La géolocalisation des lieux et des événements décrits. L'histoire de la théorie des plaques. Une cartographie thématique et des dessins originaux. Un test interactif pour l'évaluation des connaissances. Le partage des résultats sur facebook. 22/08/2014 Earthquake Finder app displays recent earthquakes on a 3D (or 2D) map of the world. Recent earthquake data is obtained from a USGS data feed and is updated every 5 minutes (requires an internet connection). 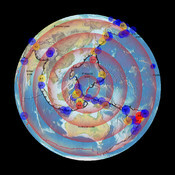 Pop-up data controls allow the user to select a range of earthquake magnitudes, focus depths and times. Recent volcanic activity or historical earthquake data can also be displayed. Pop-up map controls allow you to select which type of plate boundaries are displayed plus the different maps showing physiographic features, continents, or countries. All controls apply to the 2D or 3D views. 23/08/2014 Track and follow earthquakes now around the world in real time! Real time Twitter and Facebook integration! See Tweets related to the earthquake plus Tweet out your own news. Post to Facebook a detailed map & information plus your own comments. 22/08/2014 Focus On Earthquakes provides a comprehensive description of the causes and consequences of earthquakes. 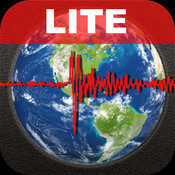 This app/book will be of interest to anyone who wants to learn about earthquakes. 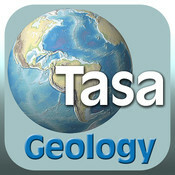 For schools, this interactive app/book can be used as an in-class tool or for independent study. 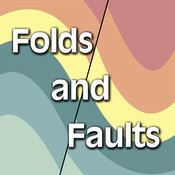 22/08/2014 Folds and Faults app provides an illustrated overview of two significant topics in geology: folds and faults. Understanding folds and faults helps to explain how mountains form, how layers of rock change shape over time, and the underlying cause of earthquakes. 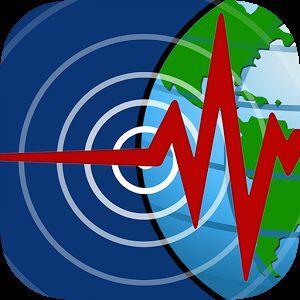 26/08/2014 Oz Quake is an earthquake monitoring app based on data collected by a number of agencies throughout the world. 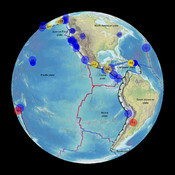 It displays earthquakes with magnitude above 4.0 registered in the last 7 days for Europe, North American region, Australia, New Zealand, Asia-Pacific region and the rest of the world. It allows users to save multiple locations of interest to receive push notifications when an earthquake happens within 100 km radius of these locations. It displays earthquake’s map, details and seismogram. User can share earthquake info using email, Facebook or Twitter. 22/08/2014 The pangaea app dynamically shows the breakup of the supercontinent Pangaea and the positions of the continents over the last 200 million years. Significant events are indicated by position (longitude) and time (millions of years ago). Several events have additional information available by touching an "info" button. The app is completely self-contained. No internet connection required. Flicking horizontally will rotate the globe. Flicking vertically will quickly move through time providing an animation of the movement of the continents for the selected longitude. 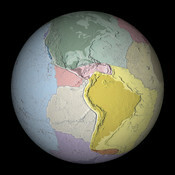 The modern shapes of the continents are retained throughout time to help identify them. 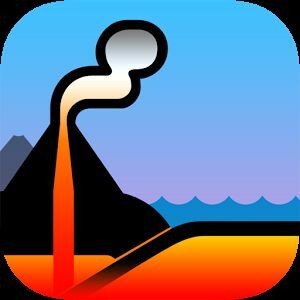 22/08/2014 Puzzling Plates app provides an interactive, engaging experience that inspires you to explore the large, tectonic plates that make up the surface of Earth. In Level 1, you'll first learn how tectonic plates fit together by moving them into position like a jigsaw puzzle. In Level 2 see where earthquakes and volcanoes form on Earth's surface and explore Earth's interior. In Level 3 you first see how plate boundaries collide and split apart and then you actually move tectonic plates in different directions to find out what type of boundary is shown. To make learning fun, the app includes scoring when exploring topics.